“Seed libraries, often located in public libraries or other community gathering points, are institutions created for the purpose of sharing seeds. The idea is that a library patron can “check-out” seeds to grow themselves, let “go-to-seed”, and then return seeds to the library to share with other community members. The seeds circulated at lending libraries are usually regionally-adapted…The purpose of most seed libraries is to provide an alternative to genetically modified seeds, increase biodiversity and plant resilience, and reconnect local people with their food systems.” (Quote excerpted from http://seedlibraries.org/page/why-seed-libraries-1). Seed Libraries have become so popular that there are now over 300 in the United States alone. (seedlibraries.net… then use the pull down menu to navigate to Start a Library and choose Sister Libraries). The Santa Rosa Press Democrat ran an article originally from the Star Tribune in Minneapolis (http://www.startribune.com/politics/national/286955151.html) on the controversy surrounding the legalities of seed libraries. The controversy began this past year in Pennsylvania when the Pennsylvania Department of Agriculture contacted the Simpson Public Library in Mechanicsburg. The library was notified that it was in violation of the Seed Act of 2004. The Seed Act regulates the selling of seeds, and protects farmers and gardeners from purchasing unviable seeds as well as ensuring that undesirable weed seeds don’t get established in the state. The Seed Act also states that all seeds need to be tested for purity and germination rates. In order to fully comply with the state’s seed regulations, the Simpson library could only distribute commercially grown and packaged seeds that meet the regulations set out in the Seed Act. The Simpson Library and presumably other seed libraries in Pennsylvania will no longer be able to distribute seeds grown in their members’ gardens. The library is however allowed to sponsor a yearly seed swap at which people can share seeds. Since Simpson was contacted, it has been reported that other seed libraries in Maryland, Nebraska, Minnesota and Wisconsin have been contacted by their Agriculture Departments. SELC joined with Shareable (shareable.net) to offer support to seed libraries and will work on and publicize seed library legal issues. They will also work toward crafting a seed library exemption law in California. Check www.theselc.org for updates. California has at least 47 seed libraries and many are based in northern California. 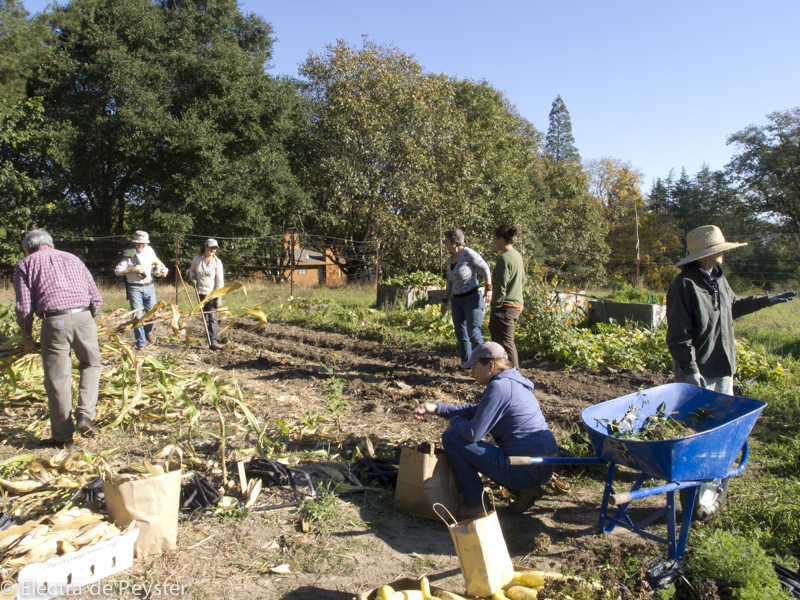 Here in Sonoma County, we have seed sharing groups based in Sebastopol, Healdsburg and Petaluma. 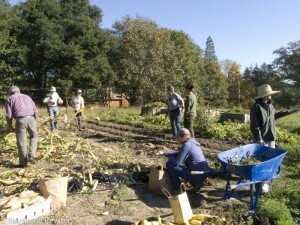 The West County Community Seed Exchange in Sebastopol was founded in 2009 and is currently located at St Stephen’s Church on Robinson Road. The Exchange proudly grows organic, open pollinated, non-gmo seeds on land provided by the church and currently has 123 vegetable varieties, 28 flowers, 23 herbs and 14 grains in its inventory. The Exchange does not sell seeds, nor does it guarantee the quality and germination rate of its seeds. You can read more about the Exchange at westcountyseedbank.blogspot.com. To stay current on this issue of seed libraries and the ongoing legal issues, subscribe to updates on seedlibraries.net.